Increase Your Website Enquiries and Sales! Don’t spend your marketing budget on websites that send a bunch of untargeted traffic and enquiries that result in fewer or worse yet – lost sales! type arriving at the wrong website. This is wasted traffic that was delivered by unfocussed sources – so why are you paying for it? 2009 Online Advertising Attitudes report found that 56% of ABC1 adults search specialist niche sites, and a further 34% of British consumers spend the majority of their online time on niche sites. This ties in with the fact that 26% of Eventdomain’s users stay an average of 1 hour plus on our site (Awstats confirm this). Eventdomain sends 200 to 900 visitors per client – every year. We send an average of 2’000’000 visitors per year to the businesses that use us. 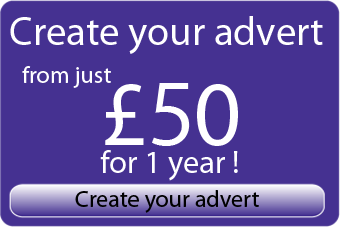 An average of 700 advertisers register for our paid services each year without fail. We can prove our traffic activity – partial stats are available via the main site – ED generated over 3’000 visitors to LateRooms.com’s website via their listings pages on Eventdomain. Sign up to Eventdomain and drive targeted visitors within hours!